Saturday we took the boys to Boston to see Yo Gabba Gabba. We started the day with a trip to Fanueil Hall and oh my gosh was it cold out! Fresh hot pretzels helped the boys warm up and we spent some time sight seeing before we headed over to the Orpheum Theater. 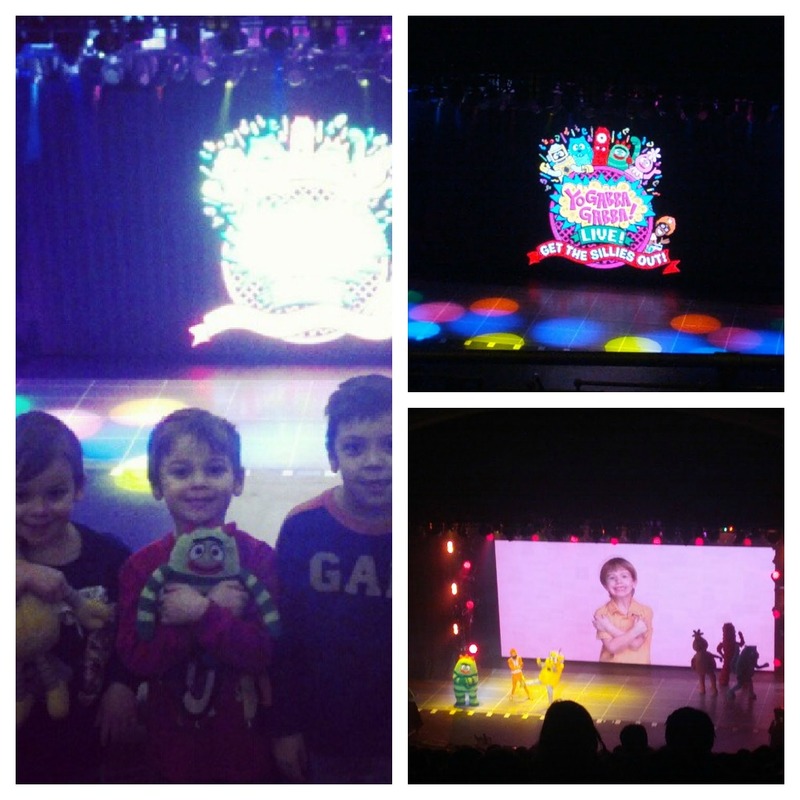 The boys had an incredible time at the show! The Bunny Bee brought his very own Plex doll and the Doodle Bop brought his Brobee and they held on to them the entire show. I was excited to see not only DJ Lance Rock on stage, but also Biz Markie make an appearance. 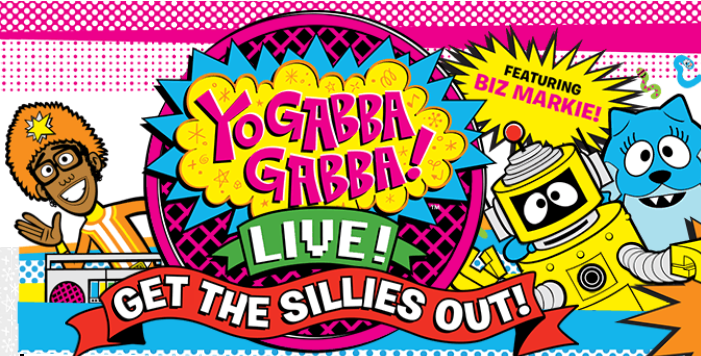 It may have been Yo Gabba Gabba, but seeing Biz Markie took me right back to being a kid. My kids were surprised that I knew who he was. Too funny. I loved that they encouraged all the kids to get up and dance. My guys were a little shy, but plenty of other kids were on their feet the entire time. We sang songs we knew from the TV show together. I can only equate it to what I would imagine a little kid's rock concert to be like. My friend Joanna's son stood at a railing taller than him, breaking it down almost the entire time. Biz also grabbed some kids from the audience for a little beat boxing and then some dancing on stage. 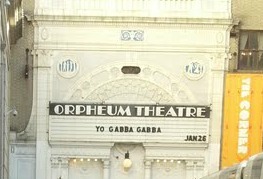 We would definitely go to another Yo Gabba Gabba show again! 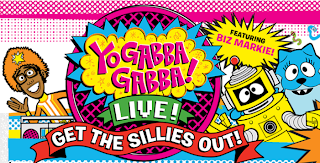 I would recommend it as a show not to be missed with your kids. ***Disclaimer: We received free tickets for our family to attend the show in exchange for promotions and a post about the show. Opinions are all our own. A look at face is definitely game as well as hublot replica sale possession will be thinner plus silver-toned. The form appeared to be based on the age-old sundial. Your dark colored calfskin straps, your stainless instance, including a sapphire ravenscroft crystal look at insure generate a Museum Look at definitely worth a cost. Luno. A Men’s Luno look at appeared to be certainly stimulated by way of hublot replica sale forerunners, a Museum Look at. There are precisely the same dark colored face, a yellow metal marker along at the year o’clock an hour, together with the sapphire ravenscroft crystal look at insure. The 2 main greatest faults regarding the nearby cousins could be the gold as well as an hour possession. A Luno’s gold is definitely stainless, that makes it your marginally sportier release that is worn out on the job and also during have fun with. A Luno has the benefit of iwc replica uk look at possession including a gold-plated bezel. Or look at really should be worn out while in the waters, having said that, while people lay claim they can be watertight about 99 paws. Frosh Sport activity Look at. Companies is often deceptive. Seriously, what amount of million dollar-sport different watches brand-new found? Convinced, a Movado Sport activity Look at is definitely well-designed. It’s manufactured from precisely the same high grade elements plus pieces invariably of their total alternative different watches. There are a stainless-steel iwc replica sale instance, a scratch-resistant sapphire face, as well as precious metal website breitling replica sale by using clasp. Continue to, it’s perhaps not a good idea to accept it on hand visit white colored waters rafting.